Our mission to bring cool, clean water to families and businesses across the Black Hills. 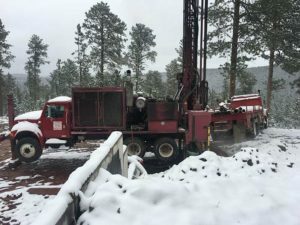 Alexander Drilling specializes in hard rock drilling in the Black Hills, using a rotary downhole hammer method. When choosing us, you will be getting a licensed water well drilling contractor, with more than 45 years of experience in the industry. We are one of the top water well producers in the State of South Dakota. 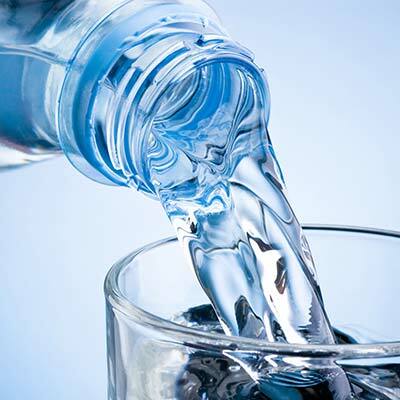 We take pride in ensuring you the best quality water possible. Alexander Drilling is a licensed pump installer. We have the equipment, experience and knowledge necessary to design and install a quality water pumping system that matches the well with the volume and pressure requirements to your home or business. Proper design of your water well pumping system is critical to maintaining a consistent flow and pressure of water, as well as having a system that will last a long time. We know when you are out of water, or your well isn’t delivering water like it’s supposed to, it can be stressful. We also troubleshoot and repair existing pumping systems, ensuring our customers have access to water when they need it. 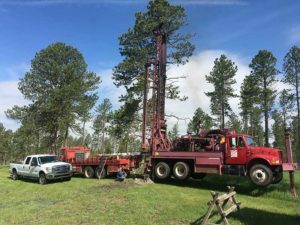 Alexander Drilling is the only contractor in the Blacks Hills area that has the equipment to do water well hydrofracturing. Hydrofracturing is a method to increase the yields of low-production water wells completed in rock where the fracture/joint systems are so tight that little or no water can move through them. This method of well regeneration has been very successful in the mountain areas in the United States. The success rate is generally 95%, where the production of the well has been at least doubled. Hydrofracturing is accomplished by lowering an inflatable packer into the water well, and setting it below the casing. Once the packer is inflated, water is pumped into the well at a high pressure, causing small fractures in the rock to open up. The newly opened and flushed out fractures allow more water to flow into the well, resulting in an increase in water production. Have Questions About Your Well? Alexander Drilling, started in 1971, is a third generation, family-owned and operated business. 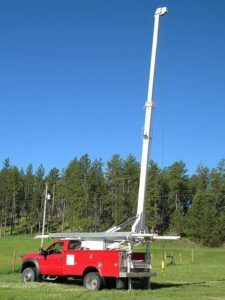 We are a licensed water driller and pump installer in the State of South Dakota, and have been serving the Black Hills area for more than 45 years. Keeping current on our license requires continuing education, which we do at the local, state and national level. This keeps us up to date and current in our industry. 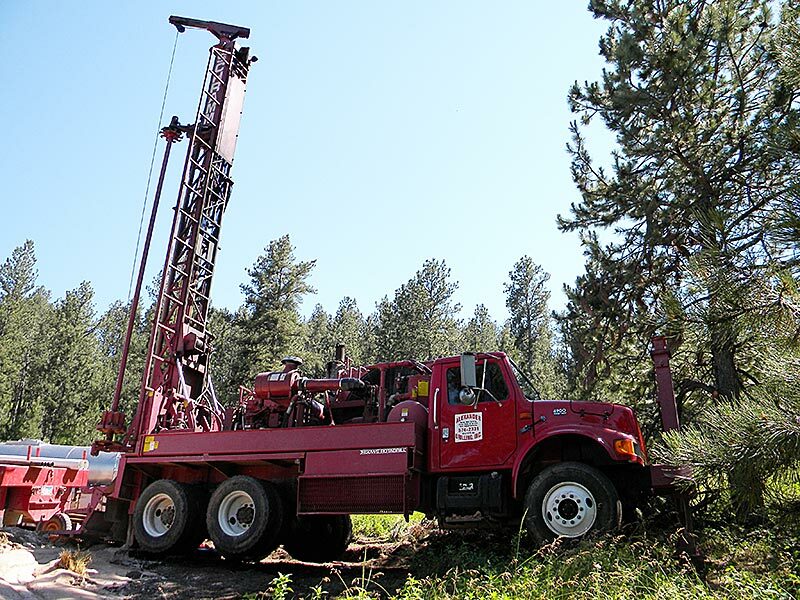 Being one of the top producing water well drillers in the State of South Dakota, we are known for our expertise and quality workmanship in water wells and water pumping systems. 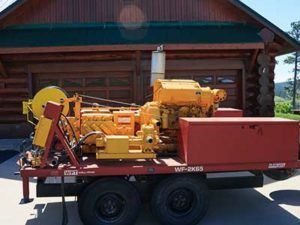 We have two air rotary drilling rigs, a service rig for pump installations, and work year around providing service to our customers. We are members of the South Dakota Well Drillers Association and the National Ground Water Association. Alexander Drilling Inc. is always looking for qualified team members. To find out what positions we are hiring for please contact us directly or download an application and send it to us. You can also search for open positions by searching “Alexander Drilling” at www.southdakotaworks.org. © 2019 Alexander Drilling. All rights reserved.